This was Kasi’s first buck with a compound bow and she aptly nicknamed him “moose”. The mass between his G2 and G3 is a tremendous 6.25″. Here is what Kasi had to say about the hunt. Follow us on Facebook and stay updated with the latest hunts! This is James Edwards with his 2015 harvest. This trophy was offically aged at 5.5 years old. Thank you James for sharing another great hunt with us. This great buck was harvested by Tucker Groves in Dallas,CO. He is a main fraim 10 with 4 sticker points, 157.25″ B&C. He was aged at 6.5 years old. Way to go Tucker!!! This is Goliath, harvested in 2016 by James Edwards. 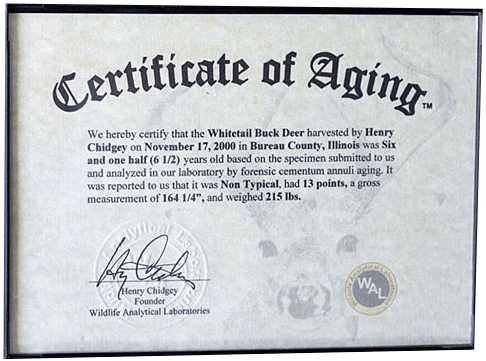 He scored 181″ gross and 174″ net typical. Goliath was aged at 5.5 Years old. James thank you so much for sharing another amazing buck with us. This one is a beauty!!! This is Abby H. and her buck we aged in the 2017 season at 11.5 years old. 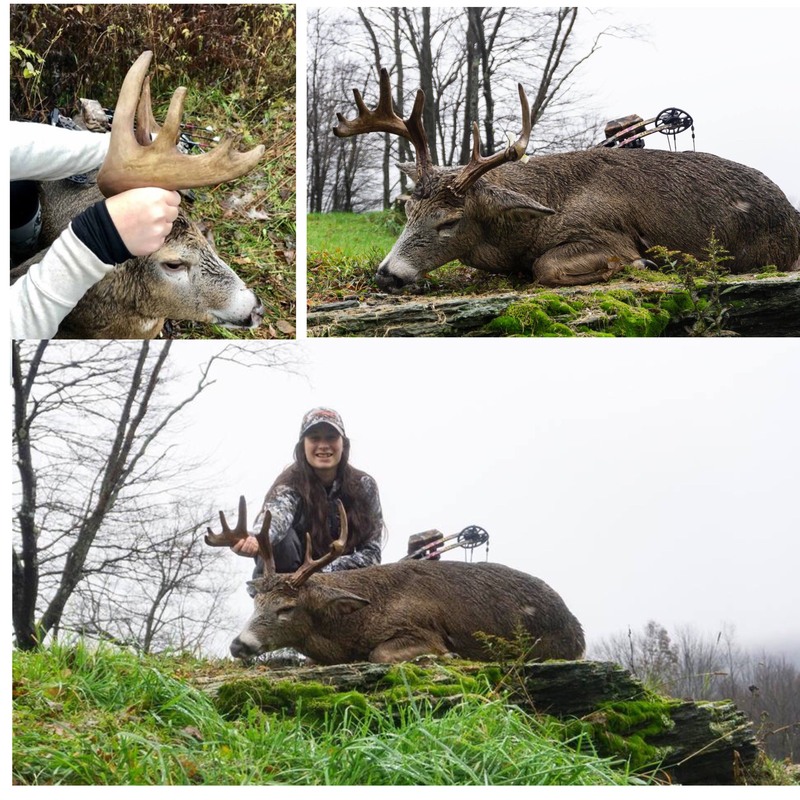 Abby was all over the local news as the first female hunter to win the local Monster buck contest with an SCI score of 173 6/8″ We were surprised to see so many rings with this deer, further demonstrating this is the only way to know for sure the age of your trophy. Great job ABBY!!! !